The healthcare sector in Athens County is one to pay close attention to. It is the leading industry sector in the state of Ohio from an employment and growth standpoint, and is the 2nd largest sector from an employment perspective in Athens County. Athens County’s largest job growth from 2011 to 2016 came from the healthcare sector, which added 24 percent of jobs. Healthcare jobs typically provide higher paying, living wage jobs that the ACEDC is committed to growing for Athens residents. The expansion of Ohio Health O’Bleness also provides opportunities to further grow the healthcare sector and become a healthcare hub for the region. 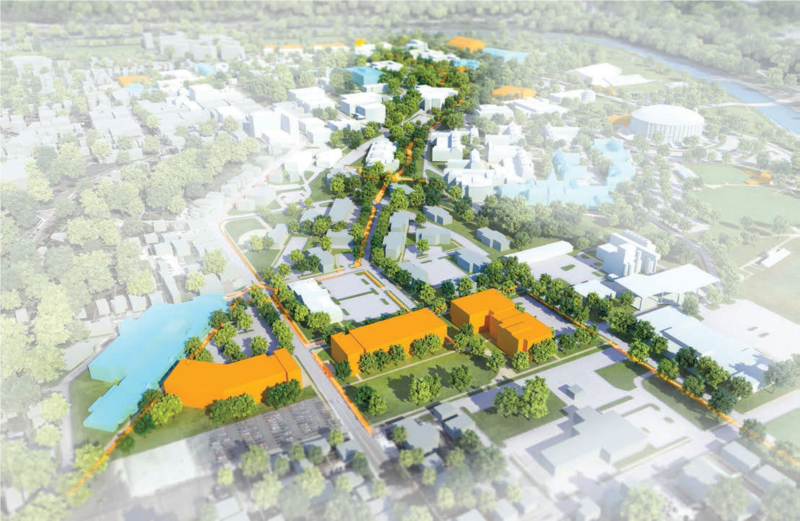 The ACEDC’s strategic plan outlines plans to with partners to leverage this opportunities and secure private and public sector funds for the creation of an innovation corridor linking the university to the community’s healthcare centers. 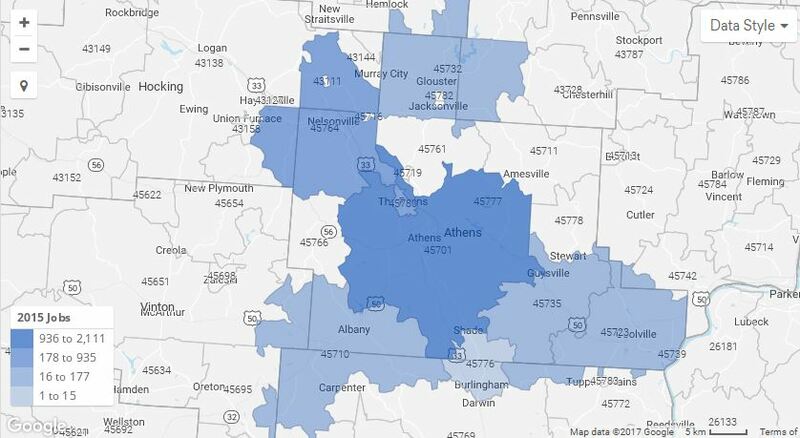 The map above shows the concentration of healthcare industry in Athens County compared to surrounding counties (data taken from EMSI).